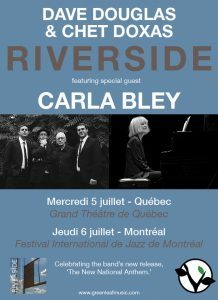 Riverside plays two shows with jazz great Carla Bley! To celebrates the release of their second record The New National Anthem, Riverside is playing two concerts in Québec with special guest Carla Bley. Don’t miss you chance to see Dave Douglas, Chet Doxas, Steve Swallow and Jim Doxas perform with this celebrated pianist and composer. 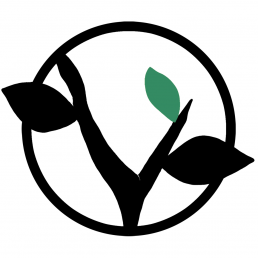 The group will play Québec City and Montréal in July. And look for European dates in the fall to be announced. The new Riverside album is available for purchase on Bandcamp and iTunes.